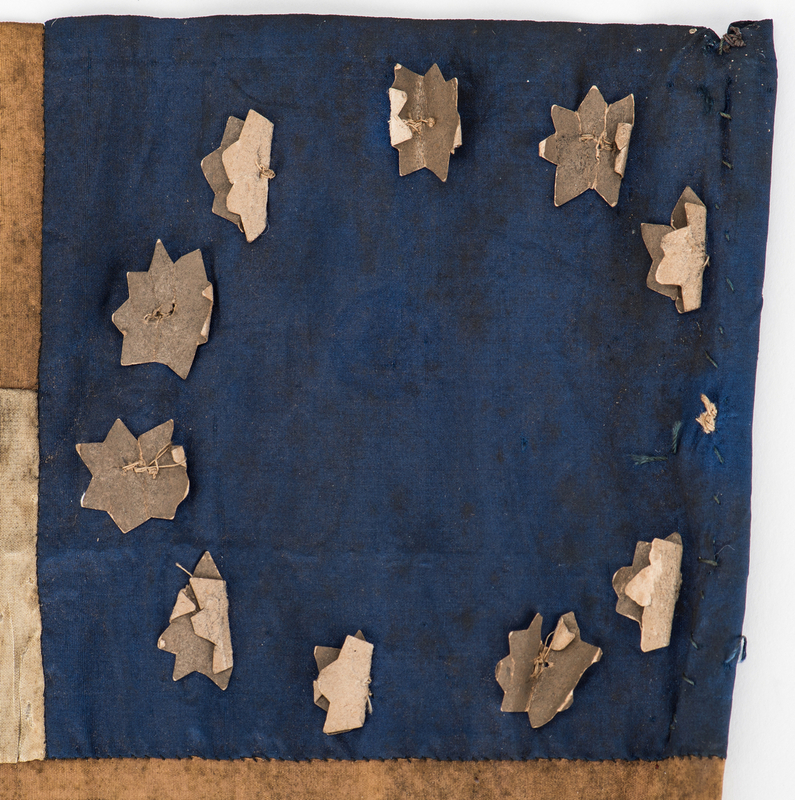 Civil War era Confederate first national parade flag, consisting of 7 applied nine pointed paper stars in the canton on silk ground. 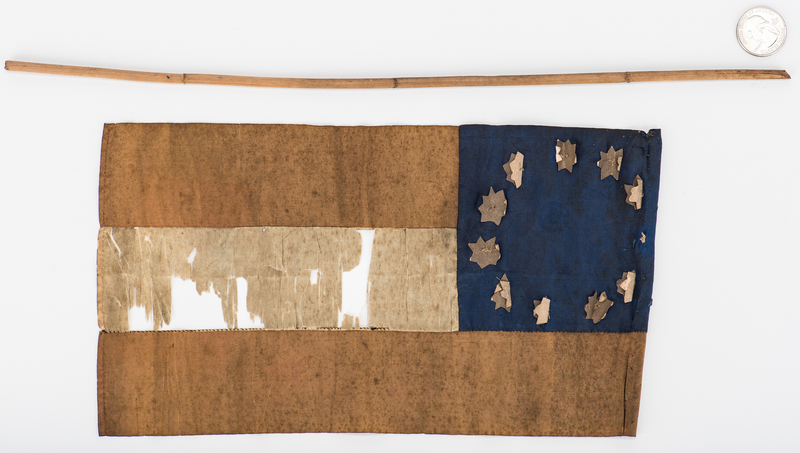 Includes wooden parade stick with sewn loop for stick to edge of flag closest to canton. 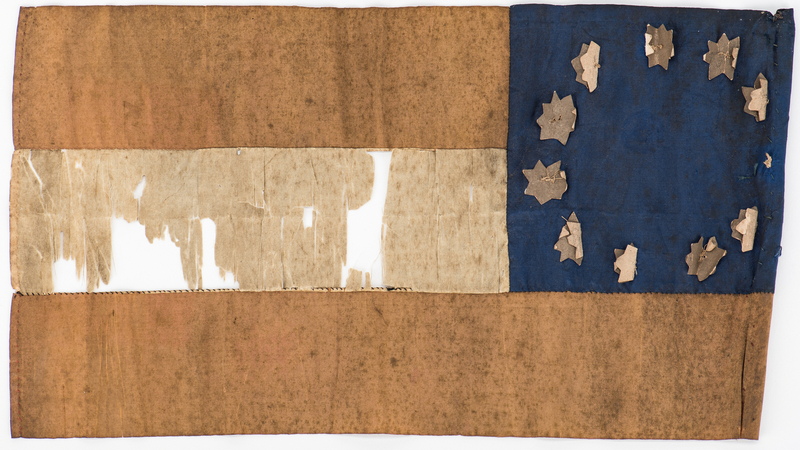 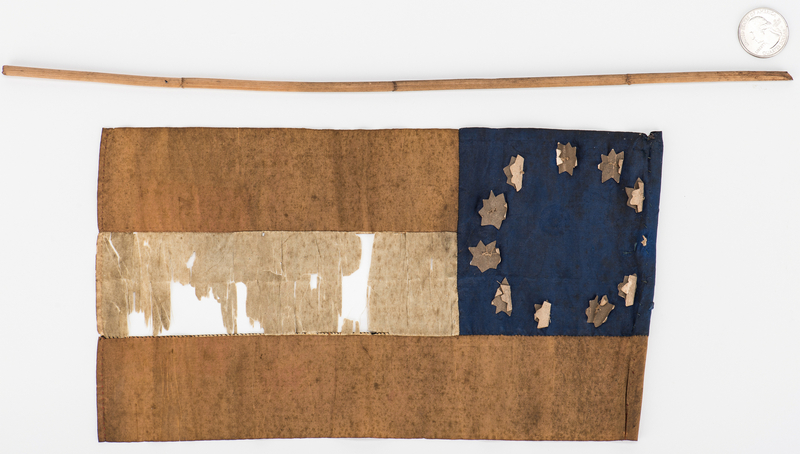 Flag – 5 3/4" H x 10 1/4" W. Parade stick – 14 7/8" L. Provenance: Private Ringgold, Georgia collection; among items purchased in the 1960's from the old location of the A. P. Stewart Chapter of the UDC (United Daughters of the Confederacy), formerly the Nathan Bedford Forrest UCV (United Confederate Veterans) home, St. Elmo, Chattanooga, TN. 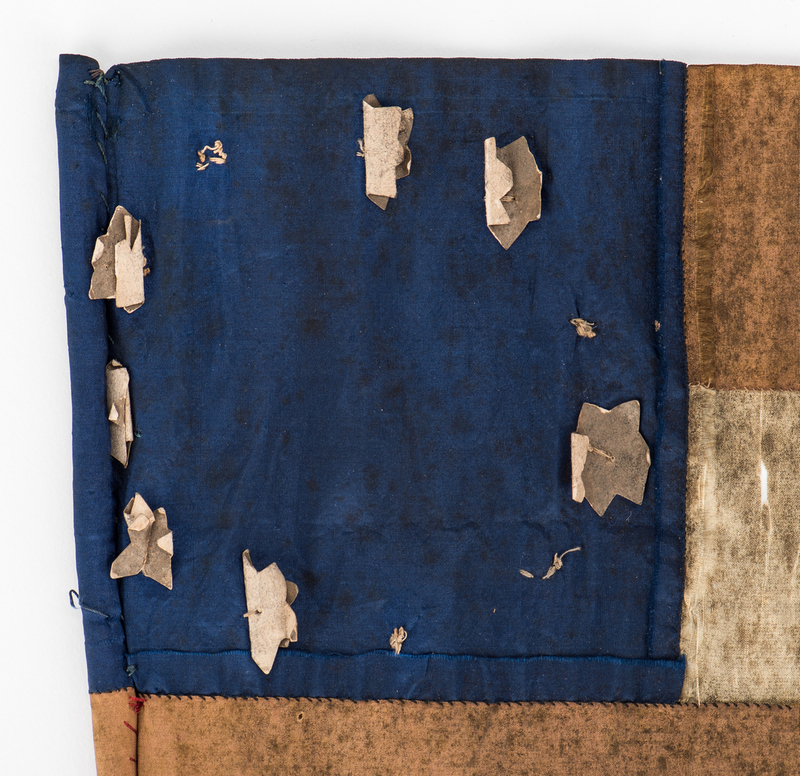 CONDITION: Fragile condition with foxing spots, dampstaining, to be expected from age. 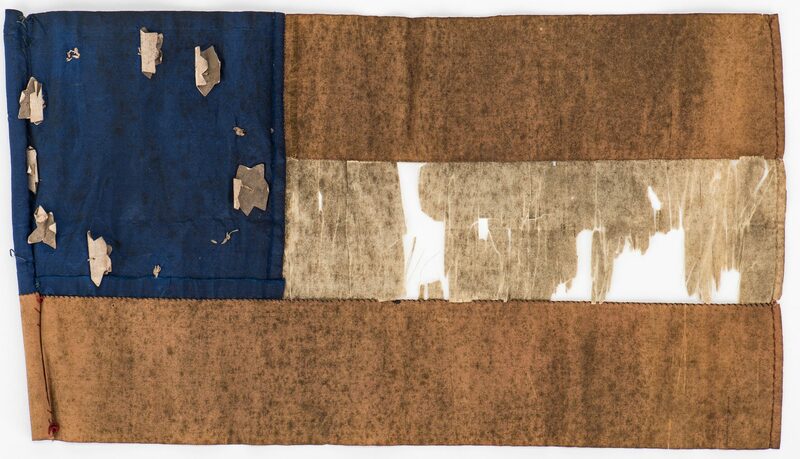 Areas of loss, largest 2" H x 1/2", to white center bar. Total of five stars not present to canton on either side of flag.